This weekend saw the return of the Six Nations, where England’s first game of the tournament was against France. Eddie Jones’ squad were keen to replicate their success of the 2016 tournament and make a good start to their campaign. The Green Room was back in full swing ready and waiting for our VIP guests. To kick off the day guests were greeted with a champagne reception before taking to their seats ready for a four-course gourmet meal. Of course, The Green Room wouldn’t be The Green Room without our panel of Rugby Legends. To start proceedings was Rugby World Cup winning head coach Sir Clive Woodward, who took to the stage to give his analysis of the upcoming game. Following this it was the turn of Hospitality Finder ambassadors Lawrence Dallaglio and Mike Tindall, who were joined by Green Room regular Austin Healey and England player Geoff Parling. Entertaining as ever they gave their predictions for the game and regaled the guests with stories from their days in the England squad. 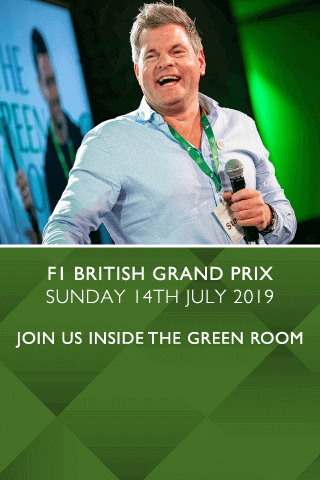 The Green Room does not just play host to rugby legends, it’s also a great place to spot some other stars, with the likes of Amy Williams, Jamie Redknapp and Jack Whitehall joining the guests in the past. For this game, legendary singer/songwriter Andrew Ridgley was back in the suite, joined by Masterchef star Greg Wallace and actor Jude Law. After dinner, our VIP guests made their way to their seats ready for England’s first Six Nations game of the tournament. It was a difficult first half for Eddie Jones’ side with them levelling 9-9 with the French side at half time. However, England managed to pull it back in the second half with three penalties from Owen Farrell, one from Elliot Daly and a try from Ben Te’o, and went on to win the game 19-16. This makes it England’s fifteenth win in a row which surpasses Sir Clive Woodward's men in the run-up to their 2003 World Cup win, and means they are only three wins away from equalling the all-time record which New Zealand currently hold. After a tense match the guests returned to The Green Room, where they were treated to a post-match savoury selection in addition to more drinks from the complimentary bar. Our guest panel took to the stage once more to give their post-match analysis, where they were joined by England player George Ford fresh off the pitch. Before the guests left they were treated to a prize draw where one lucky winner won two VIP tickets to England v South Africa ODI at Lord’s and a signed England Rugby shirt. The Green room will be open again for England’s second home match in Six Nations where they will be up against Italy.